Cake rolls can seem a little intimidating to make. The first time I made one (waaay long time ago) I had this internal dialogue. "So basically I'm going to try to bend this sheet of cake? This is not going to work. Um, it's not breaking into eleventy-nine pieces like I thought it would. And what am I doing now - unrolling it? But I just got it all rolled up! Aaaarrg!" The truth is, if you're good at following directions then you'll do fine. 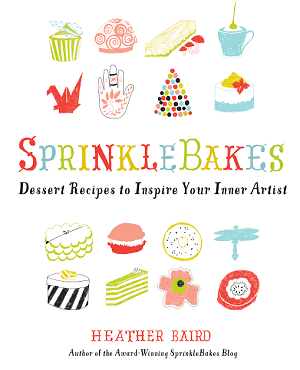 Back then, the whole process seemed like some magical thing I'd never master, but now it's just cake! After that first roll, you'll get a feel for the cake's spongy texture and you'll have an even prettier roll next time around. Occasionally the cake may split a little during re-rolling (because of the added weight of the frosting), but it rarely affects the cosmetic appearance of the cake. And if it's not perfect, it's still going to taste good. 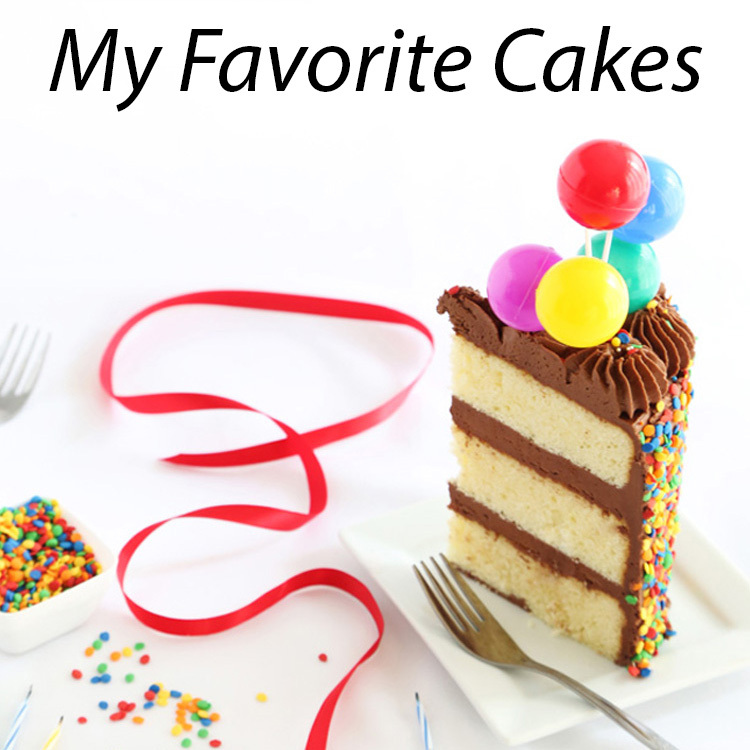 My favorite part of this cake is the marshmallow buttercream. I could eat it strait from the mixing bowl with a spoon (and maybe I did)! The recipe uses ready-made marshmallow cream, but if you can't find it locally, there are recipes for homemade versions online, like this one. Preheat the oven to 350°F. Grease a jelly roll pan with shortening. Line the pan with parchment paper and grease the paper also. If you have a flour based baking spray such as Baker's Joy or Bake Easy, you may use it to grease the pan and skip lining it with parchment. Slowly add the sugar and oil. Beat well. Add the milk or cream. Switch to the paddle attachment. Sift together flour, cocoa powder, baking powder and salt, and slowly add to the liquid ingredients. Beat for 2 minutes, until well combined. The batter will be very thin. Pour the batter into the prepared jelly roll pan and bake for 12-15 minutes. When done, the cake should spring back when touched in the center. 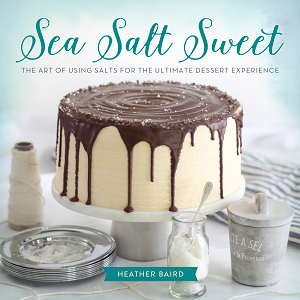 As the cake bakes, sprinkle a thin tea towel with a generous 1/4 cup of confectioners sugar. When the cake is done, immediately turn it out onto the tea towel and remove the parchment (if using). Starting from the narrow end, roll the cake into the tea towel. Place the cake seam-side down on a cooling rack for 30 minutes. To make the filling/frosting, combine the butter and marshmallow cream in a large bowl and beat until combined with an electric hand mixer. Add the confectioners' sugar, vanilla and salt. Beat well until light and fluffy, about 3 minutes. Carefully unroll the cake and frost the inside with about three-quarters of icing. Re-roll the cake and frost the top and sides with the remaining frosting. Pour the coconut in a rectangular high-sided baking pan (9x13 casserole will work) and add a few drops of pink food coloring. Rub food coloring into the coconut with gloved hands, or stir together with a rubber spatula. 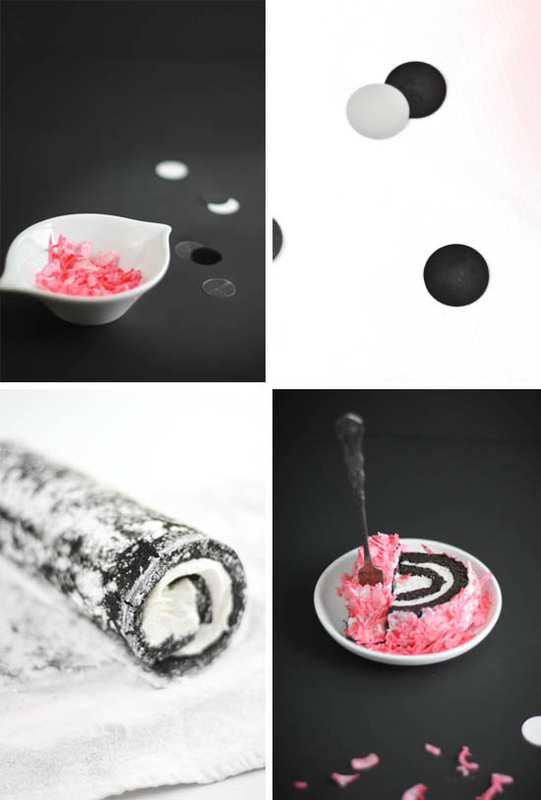 Place frosted cake in the pan on top of the pink coconut and roll until coated. Place cake on a serving platter. For perfectly clean-cut slices, refrigerate cake for 30 minutes Bring slices to room temperature before serving. I used to love snow balls, and I was just thinking about them the other day. This looks so good! oh my goodness. I love this. The colors are so pretty together! So fun...I'm trying to imagine being handed something so fun as that! So beautiful and perfect! A lovely roll. Divine. And that pink cake server? I. Die. This is SO pretty...love love love. Great color! Wow... just Wow... so pretty. So beautiful, I love de contrast, great color, bravo. That is seriously gorgeous!!! 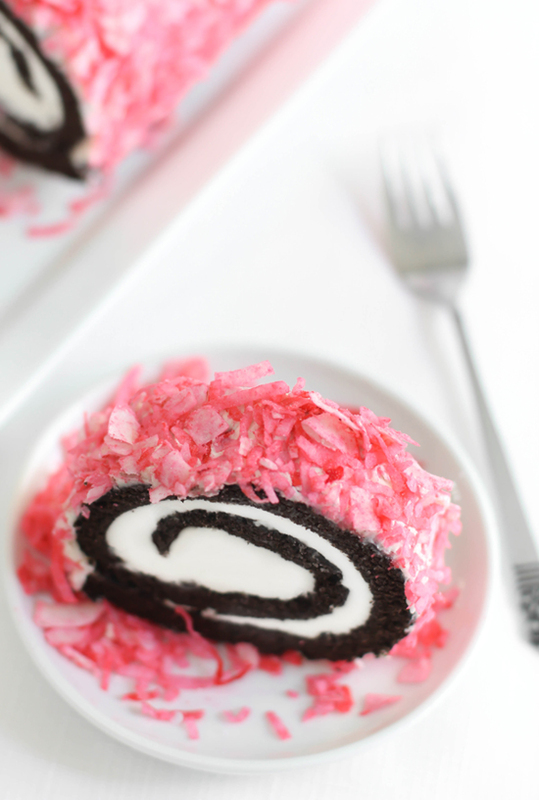 I absolutely love the pink coconut contrasting with the chocolate cake swirl!!! Swoon!!!! 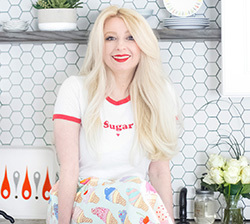 So fun, I love putting a spin on childhood favorites! And I know what you mean about spring influencing your baking, I just shared a recipe for rose madeleines today. Wow! 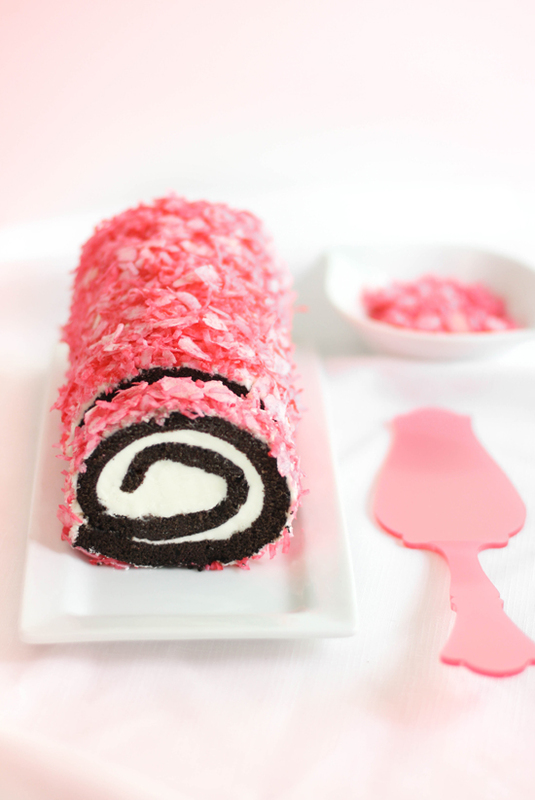 I can't believe how beautiful the cake roll looks with the pink coconut! Stunning! 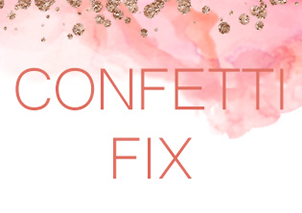 Oh, I can just see this at a pretty pink bridal shower! That is such a pretty dessert! I have made cake rolls before, but none as gorgeous as that. The pink coconut is a perfect touch. oh girl this is so cute. i love making these sno balls. next time i should try the roll. sorry I've been m.i.a. life has me wrapped up. hope you are well lovee! Gorgeous! Love the deep, dark chocolate against the white marshmallow buttercream, and pink coconut! Hi! The tart server is from Leif. Oh it's so cute!! It would be perfect for a girls lunch! The black, pink, and white are gorgeous! This looks fabulous!! So pretty!! OMG I am in love. WOW! Wow I grew up on Hostess Snowballs, twinkles and Cupcakes. This is fantastic my mom will be tinkled pink when I surprise her with this. At 91 years old she ate a hostess cupcake or snowball daily for as long as I remember until they closed. Thanks for sharing. oh heather - my favorite color. such a lovely cake! Where on earth did you get that beautiful pink cake server in the top photo?! The cake is the star here, obviously, as all your treats are - but that is just so pretty I need it in my life! I just made a cupcake version of this from the back in the day baking book but I may have to try this soon as well. Yum! This brings me back to my childhood. Beautifully done, so pretty and tempting to make. This is so colourful!! Yum!! Gorgeous pics! What a treat. My husband loves my vanilla cake rolls with chocolate frosting. He also loves coconut cake. Now I can combine both. Thanks so much for the recipe. Cake is dry and bad! Sponge roulades are more dense than regular cakes. Also, this makes me wonder if it was baked too long. It should not be so very dry. This looks amazing, I love the gorgeous colour of the pink coconut! I love snowballs! I've never known anyone to like them too! The pictures are so pretty with the pink and white. Haha as I was reading the post Link Within had brought up your Pink snowball cakelets and Pink Snowball Cake. Obsessed much - yup and how lucky for all of us :)Oh and have to love comments like cake is dry and bad. I think it's pretty obvious from your pics that it is not (or it would have cracked into eleventy-nine pieces) so maybe your lovely readers just need to check their technique and ingredients against your recipe. ahhhh I just want to tuck myself inside and roll up in there!! This looks SO good! I really love the pink coconut frosting! I'd love to see a riff on funny bones. I've tried one on the web with no success. This is so gorgeous! 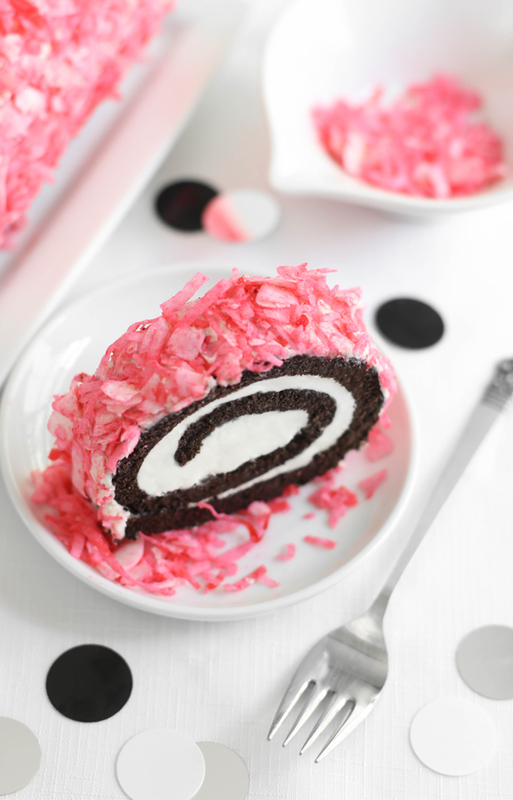 I have always wanted to make a rolled cake and this just might be the cake to finally get me to try it! Hi Ms. Heather! I've been a fan for almost a year now and I really love your site! I live in Japan and marshmallow cream is not available here and I'm kind of scared to make my own because of raw egg whites. I'm thinking of melting real marshmallows but still pondering on what to add for it to become similar to marshmallow cream. It would be great if you could help me on this as this cake is too pretty no to try to make. Thanks in advance! Meringue powder is a good option if you can find it locally. The eggs have been dehydrated, so the risk that raw egg whites possess is eliminated. This is just one of the reasons you're amazing! Wow - looks amazing! I'm starving! Question; Do you use Hershey's original cocoa for the snoball cake roll or the Hershey's special dark chocolate cocoa, I want to make the roll tomorrow night, and want to make sure I use the right one. Use the Hershey's dark chocolate cocoa powder if you can find it. Both will work but the dark will provide greater contrast in appearance. I HAVE SEEN HERSHEYS SPECIAL DARK CHOCOLATE, I WASN'T SURE IF THAT WOULD BE TO BITTER OR NOT THAT IS THE ONLY ONE I HAVE SEEN THAT SPECIFY "DARK CHOCOLATE"